I hear of rain coming to Norcal, but it appears that it fell on Southern California instead this week. We've been blessed with a long week of temperatures reaching toward 70°F. Likewise, the plants I currently have are taking off or coming back to life. Here's what's in the garden at the moment. 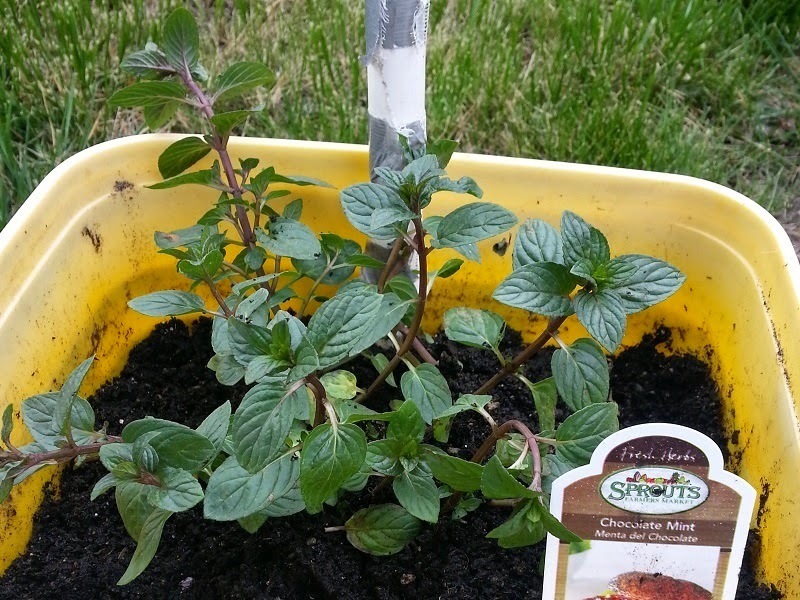 New to the garden is a mint plant. I plan on using this plant to make some tea and soap in the near future. Notice how I've planted it in a container to prevent the roots from spreading all over the yard. It would be near impossible to remove if that occurred. 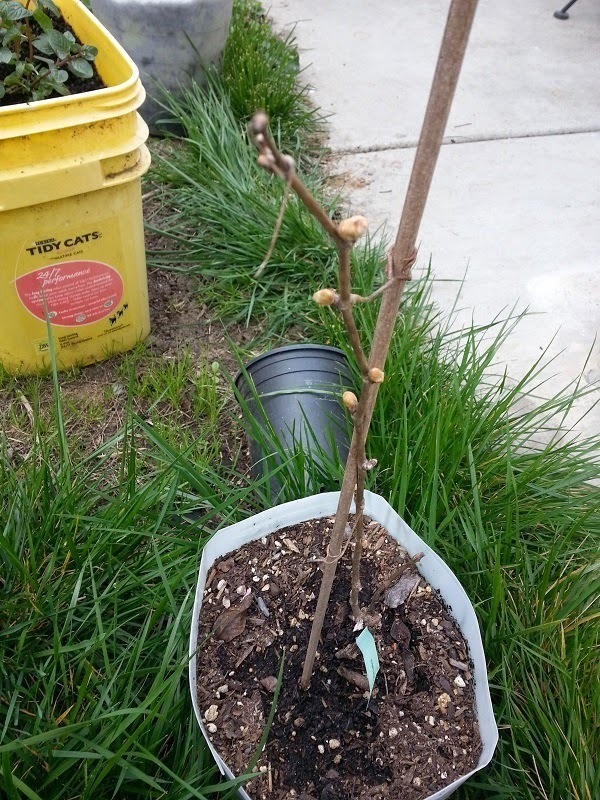 The grapevine I have is starting to emerge from dormancy. I can see little buds forming on the stem. I doubt it will be ready to produce grapes this year, but it's still a baby. 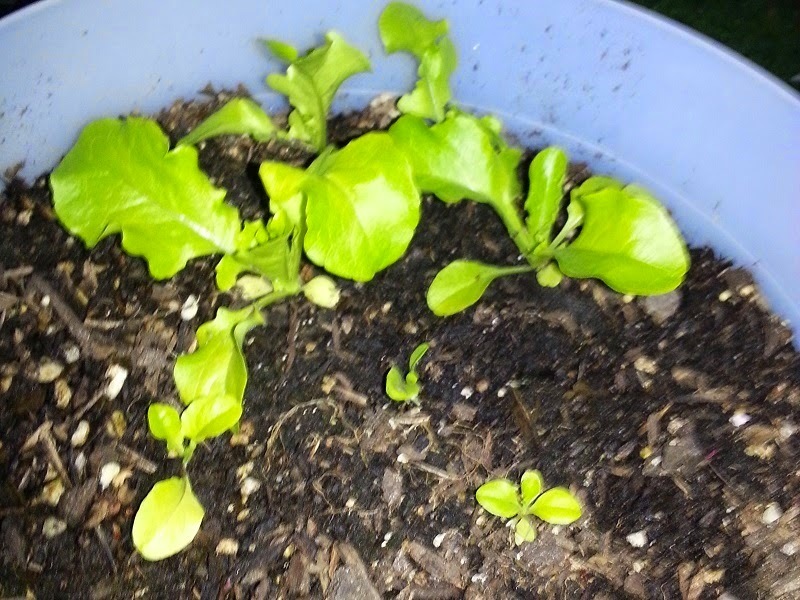 I planted a bunch of lettuce seedlings and they all took off in random directions. The good news is they are still alive, unlike some of my previous attempts earlier this year. That's all of the garden for today. More photos and progress to come in the next coming weeks.